Within hours of the raid on Osama Bin Laden’s compound, one of the major networks played an animation of the dramatic Navy Seal operation. There was a firefight. A helicopter was forced to land in the compound. It was right up Hollywood’s alley (note: The people behind the Hurt Locker are already planning a film). This was pretty dramatic stuff. 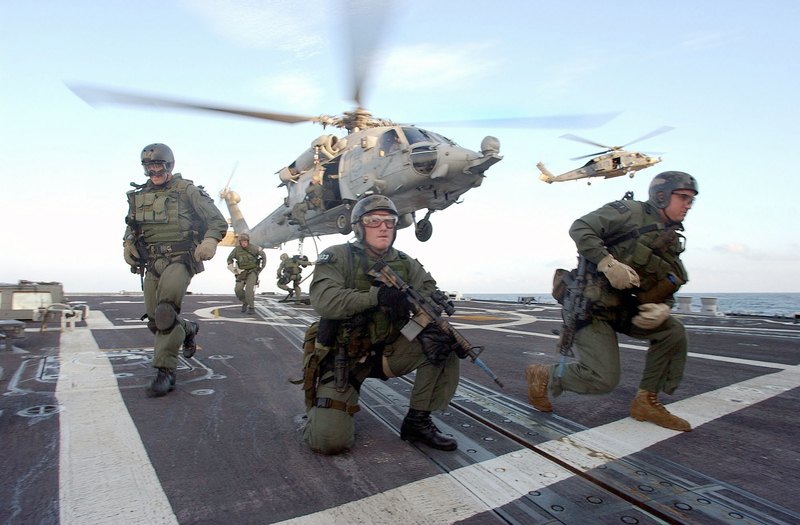 The Navy Seals fighting their way from floor to floor. The animation showed the flashes from the ensuing gun battles going on inside the building. Then there were the reports. Bin Laden used his wife as a human shield. He was armed and fired at a commando. Where can I buy my ticket? But wait. Those early reports didn’t have the facts right. There really wasn’t a big firefight. In fact, only one person was actually armed, and we’re not even shore if he fired his weapon. Osama Bin Laden didn’t use his wife as a human shield. She apparently was ticked off at being woken up and was yelling at a commando when she was shot in the leg. Oh, and Osama Bin Laden wasn’t actually armed, but he made an agressive move. So we’re told. Next week we’ll probably learn that he didn’t make an aggressive move but was instead putting on his pajama bottoms. And the helicopter that was reported to have had a mechanical failure, or perhaps shot down. Well, looks like when they were trying to land inside the compound the tail rotor hit the privacy wall and that caused the crash. Now I don’t want to take anything away from the Navy Seals who performed this operation. There’s no doubt that this was a daring operation. I wrote about my admiration for these guys in my review of Lone Survivor by Marcus Luttrell. But the press is too quick to over hype these things and create stories that simply are nowhere close to the truth. Remember Pat Tilman? How about Patricia Lynch? And now you have the politicians who are going on the news claiming that the Pakistan government had to have known that Osama Bin Laden was living there. How could they not have known? Let’s completely destroy our relations with this pivitol country. Okay, so we had the place under surveillance for eight months and we didn’t actually see Osama Bin Laden. The people living right next door had no clue. But surely the Pakistan government should have known. Forget the fact that we probably have a thousand criminals living in the U.S. who our own government hasn’t been able to find. And this brings up another point. Since the Navy Seals went in shooting. What would they have done if Osama Bin Laden wasn’t there? How would they have explained their actions if it were some eccentric Pakistan jeweler they had targeted? I’ve always said that truth is stranger than fiction. This is one case where fiction is better than the truth. Several U.S. officials have all but outright admitted this wasn’t the first spec ops raid in Pakistan. Also the U.S. kills tons of non combatants in drone strikes and other bombing missions. Do you really think those kinds of people really care if they accidentally killed someone who wasn’t their target? They never have before.